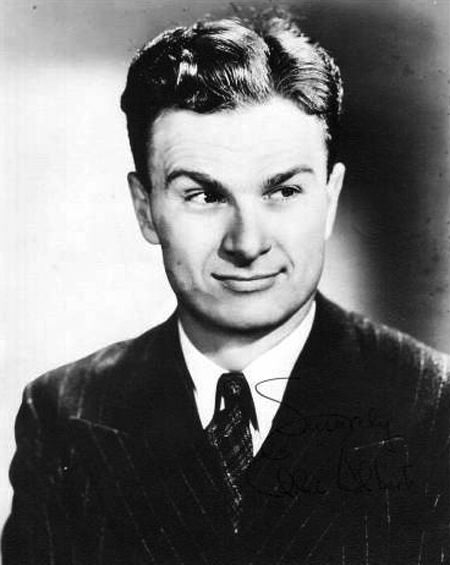 After the stock market crash of 1929, Eddie Albert entertainment career took off touring in the circus and he later landed roles in radio, theater, film, and television (and perhaps best known for his role in Green Acres). Eddie Albert was never Hollywood royalty. His status in the Glamor Capital might be likened to Solid Citizen or perhaps Respected Statesman. In the movies, Eddie was a "character actor", which is a polite way of saying "the guy who is always the leading man's best friend". Born Edward Albert Heimberger in Rock Island, Illinois, Eddie's family moved to Minneapolis when he was a year old. Raised with a mid-western ethic of hard work and fair play, Eddie attended Central High School and joined the Drama Club where he probably shared the stage with younger classmate Henrietta Lake (aka Ann Southern). After finishing high school in 1924, he went on to study business at the University of Minnesota. After University, he was ready to take on the business world, but the Crash of 1929 left him substantially unemployed. He tried his hand as a nightclub singer, an insurance salesman and even as a trapeze artist! About this time, he dropped his last name professionally because it often got mangled as "Hamburger". He gained a radio spot in New York, co-hosting The Honeymooners-Grace and Eddie Show. He also did some work on the stage, including a Broadway role in Brother Rat, a military story that would become his film debut when Warner Brothers released the film with Ronald Reagan and Jane Wyman. Before Eddie's film career really took off, he toured Mexico with the Escalante Brothers Circus. Working as a clown and high-wire performer, his real job was to photograph German U-boats in Mexican harbors. When the War came he enlisted in the Navy in 1942 but discharged in 1943 so that he could accept a commission as a Lieutenant in the Naval Reserve. He was awarded the Bronze Star for his actions as a landing craft pilot rescuing marines at Tarawa. In 1945, Eddie wed Mexican actress and dancer Margo, his only marriage. We have Eddie and Margo starring in the United States Security Bonds presentation of "The Secret Life of Walter Mitty". The Screen Guild Theater cast him as Mortimer Brewster (the role made famous by Cary Grant) in "Arsenic and Old Lace". DuPont's Cavalcade of America placed him in the fantasy "The Man Who Took The Freedom Train". Your Movietown Radio Theatre presents Eddie as the City Librarian in the comedy "Little Drops of Water". 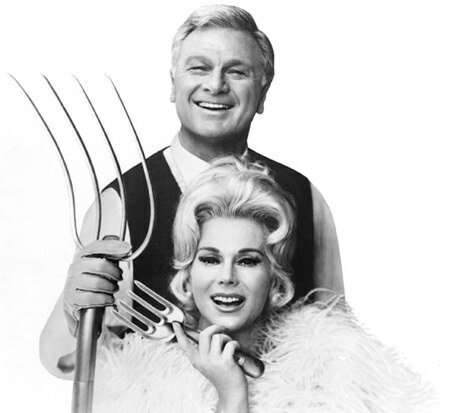 The later part of Eddie Albert's career was dedicated to television, his most well known role was Oliver Wendell Douglas on Green Acres, costarring Eva Gabor as a pair of city-folk adopting country living in Hooterville. Be the first to comment on "Eddie Albert"